You’re looking for a one back power play out of a two back formation and you drill down and find two or three. In FirstDown PlayBook fashion you find them and they are all blocked up against eight distinctly different defenses and every one of them is blocked up from a right and a left formation. At this point you start thinking that a power play is still what you want to study or edit but you aren’t sure what formation or what type of power play you really need. It’s at this point that you remember that the FirstDown PlayBook plays are all tagged so you can get from place to place and play to play more easily. 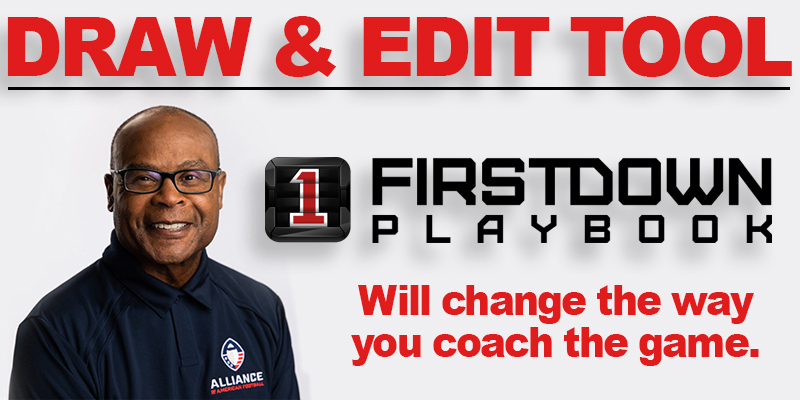 Today’s short video not only explains how FirstDown PlayBook has your back when it comes to finding the exact play you want or the almost exact play you can edit. You are also going to get a glance at just how many different ways FirstDown PlayBook has the power play drawn up for you and your offensive line!